So just how rich is Francis Ford Coppola? Sources estimate that Francis’ net worth is now over $100 million, his wealth having been accumulated during his outstanding career in the film industry, and associated business activities. Francis was a very average student, but as he had polio as a boy and was confined to bed, he became a prolific reader of largely fiction, and developed a keen interest in theatre and films. Coppola apparently attended more than 20 schools, and became a competent tuba player as he trained for what was supposed to be a music career in music, even winning a scholarship to the New York Military Academy. However, he eventually entered Hofstra College in 1955 majoring in theater arts, where he won a scholarship in playwriting. Francis then attended the UCLA Film School graduating with a degree in film making. Francis Ford Coppola came to real notice in the film industry in 1970, when he won the Academy Award for Best Original Screenplay for the biographical war film he co-wrote with Edmund H. North called “Patton”. Coppola’s directorial career reached its peak several years later with the release of “The Godfather”, in which the main roles were played by Marlon Brando, James Caan and Al Pacino. The movie was based on the novel written by Mario Puzel, and soon became a worldwide phenomenon with over $250 million grossed at the box office, and engraved Puzel’s ruthless character Michael Corleone in the American subconscious. In between filming of “The Godfather” trilogy, Coppola had been working on several other projects, which resulted in the release of an epic war film “Apocalypse Now” with Marlon Brando and Martin Sheen, “The Outsiders” with Matt Dillon, Emilio Estevez and Rob Lowe, as well as “Gardens of Stone”. Even though Francis Ford Coppola did not reach as huge a success as he did with “The Godfather”, he is still recognised as one of the most influential film directors, with well over 50 films to his credit, and an uncountable number of nominations for, and awards won. 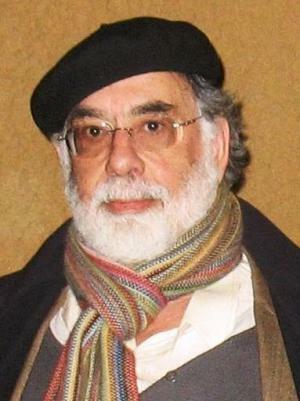 In addition to his career as a director, Coppola is a known businessman too. Coppola is an owner of a privately run film studio “American Zoetrope”, a production studio “Zoetrope Virtual Studio”, “Inglenook Winery”, as well as several hotels, resorts, cafes and restaurants all around the world. A winner of a Lifetime Achievement Award and Irving G. Thalberg Memorial Award, Francis Ford Coppola has a net worth of $100 million.